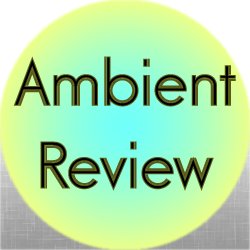 This review covers the downtempo track TwilightJ – Harmonic Dream (Chill Out Mix). This track was released online for free streaming 2011. The track starts off with the general sound of rain and subtle thunder. After this, the track opens up a bit with a borderline piano solo. The piano’s attack could have been backed off somewhat as it does come in a bit sudden, but it isn’t bad. Eventually, some synth pads back the piano right around the time the weather sounds fall away. A filtered drum kit comes into play after this. The filter is gradually pulled back and the drum kit plays out normally. By this time, the track has an overall upbeat feel to it. At some point, some stringed elements come into play. Arguably, this is when the track is at its most balanced overall. The elements occupy a nice part of the track with nothing really overpowering the other. The track at this point develops into a track that really makes me think of a garden or some other outdoor nature setting. The track gradually pulls back with the drum kit disappearing altogether. At this point, the nature sounds are more prevalent, but the string and piano elements are still there. Eventually, the string elements fall by the way side. The piano element does eventually end and the track leads out with the nature sounds exclusively. Overall, the production quality is good. There may have been a misstep here and there at the beginning, but it is otherwise well thought out. Different sections transition nicely and the track has a very upbeat and natural feel to it. This more natural sound does have a bit of a downside in that the applications I can see in this track are a bit limited. Still, I think it was a nice solid effort nevertheless.